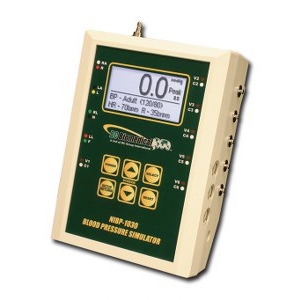 The NIBP-1030 Series are microprocessor-based, high precision, non- invasive Blood Pressure (NIBP) Simulators. The units are small, easy to use and have multiple features to fit many different applications. The NIBP-1030 offers realistic ECG waveforms that are full QRS and respiration waveforms. The NIBP-1030 offers invasive blood Pressure, temperature, arrhythmias and a Leak Rate test mode. The graphic display not only provides multiple screens that give the pressure in mmHg, but also offers views of the plot of the overall pressure or a close-up of the BP waveform. BC Biomedical NIBP Simulators offer the best bang for your buck in today's market. The NIBP Series is a Microprocessor based, High Precision Non- Invasive Blood Pressure (NIBP) Simulators. The units are small, easy to use and have Multiple features to fit many different applications. This chart details the features of the NIBP series, indicating which features are included, optional or unavailable on each model. NIBP Kits include all the adapters, all of the features for that model and the custom carrying case at a significant savings. The NIBP-1040 is only available as a kit.